One of the key benefits of being a digital nomad and/or working remotely is that you can set your own schedule. Considering there's no commute to get to work, you have more freedom to choose when you wake up and when you go to bed. But that's easier said than done. In today's 24/7 world, it's tempting to stay online for too long, to reply to messages immediately, and to check email more than required. Having the freedom to set your own schedule might lead you to neglect what is arguably the most important factor for good health and a happy life: sleep. 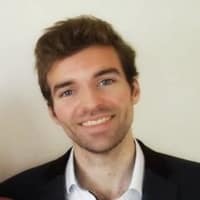 Matthew Walker is a British neuroscientist working at the University of California, Berkeley. In October 2017, he published Why We Sleep, one of the few in-depth and scientific books on the importance of sleep. 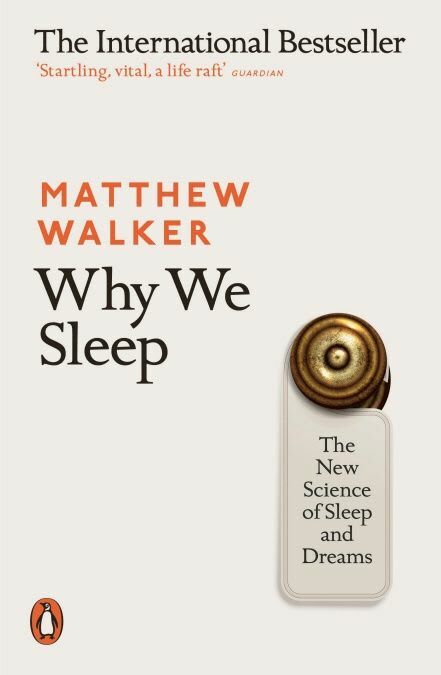 Many of us suffer from bad sleep or a lack of sleep, and Walker calls this the greatest public health challenge for developed nations in the 21st century. The vast majority of us are biologically wired to require at least seven, and preferably eight to nine hours of sleep every night. However, we live in a society where sleep is all too often seen as something for the weak. We admire people who get by on little sleep. After all, we'll sleep when we're dead, won't we? We want to live, so why should we spend a third of our life sleeping? In fact, there are plenty of reasons why we should sleep. In his book, Walker links sleep deprivation to fatal diseases, such as strokes, heart attacks, and even dementia. Poor sleep is also one of the strongest risk factors for obesity, both for children and adults, and it increases your risk for type 2 diabetes. It affects your ability to recognize expressions of anger and happiness, leads to work performance errors, and significantly increases your risk of getting into a car accident. People talk about exercise and diet as pillars to good health, and there's no denying that they are vitally important. You could argue that sleep is a pillar for good health as well, but it's actually more than that. Sleep is the foundation of which the other pillars for good health stand. Sleep is good for your memory and your cognitive retrieval. While much of the why behind sleep is still unknown, we do know that NREM sleep processes your learnings of the day into memory, REM sleep refines and shapes those memories, and dreams have helpful therapeutic and creative functions. Sleep improves your immune system, as well as your concentration and productivity. Good sleepers also tend to eat fewer calories. And these are only a few of the benefits of consistently good sleep. The human population can largely be divided into two kinds of sleepers: those who tend to wake up early (morning larks) and those who tend to stay up late (night owls). These groups indicate the propensity of someone to sleep at a particular time of day, and are called chronotypes. Society massively favors morning larks. Those who arrive at work early are seen as hard workers. If they then leave early, they're seen as efficient. But those who come in late tend to be seen as slackers, even if they stay late as well. The natural circadian rhythm of night owls means that they stay up late, but they also have to wake up early, in order to get to work on time. As such, they often sleep fewer hours than morning larks, and tend to be more depressed and unhappier. Developers have a brain-intensive job. They need to be focused for prolonged periods of time, often operate under tight deadlines, and a single mistake in their code can have serious repercussions. Considering all these circumstances, sleep should be a priority for developers. Luckily, X-Teamers from all around the world have enough flexibility to incorporate sleep into their schedules, as appropriate for their chronotype. A slight majority of the above subset of X-Teamers are night owls. As much as possible, night owls should try to get at least seven to eight hours of sleep. If that means waking up at 8 AM or later, then so be it. If you're a morning lark, same story, just the other way round. Wake up early, but go to bed early as well. Personally, I wake up at 5 AM on weekdays, but I also go to bed at 9 PM, where I read until I fall asleep. I prioritize sleep, because it makes my waking hours much more productive. Additionally, I feel happier and have much more energy. Once you know how you feel when you've had a good sleep, you'll also be much more in tune with the impact of poor sleep, or lack of sleep. It's easy to overcomplicate sleep and browse the Internet for all kinds of weird tips that are supposed to help you sleep better. But if you know your chronotype and adjust your schedule to incorporate seven to nine hours of sleep based on your chronotype, you've already done most of the work. Lower your room temperature. When your body cools down, it tells your brain to go to sleep. It should not be warm in your bedroom. Make sure your bedroom is as dark as can be. Darkness boosts the production of melatonin, which is the hormone for sleep. Stay away from electronics before you go to bed. The blue light is terrible for your sleep, as are the small dopamine hits you get when browsing social media. Exercise early in the morning. It produces serotonin and decreases your levels of cortisol, the stress hormone that keeps you awake. Limit your caffeine intake throughout the day, and particularly up to four hours before you go to bed. Drink a soothing beverage instead, like chamomile tea. There's no such thing as catching up on sleep during the weekend. It's best to go to bed and wake up at a set time, so your internal clock gets used to the routine, which will make it easier to fall asleep. There's much more to say about sleep, and I'm quite certain that scientists will continue to expose the harmful effects of sleep deprivation as we develop a better understanding of our brain. If you're a freelance developer, it's important to adjust your schedule to incorporate sleep according to your chronotype. It will make your waking hours more focused, more productive, and you'll be a happier person in general. Do you think sleep is a superpower too? Let me know in the comments below 👇! What Podcasts Do Developers Listen To? As a remote developer, it's easy to be lonely, because you can't make friends with colleagues you never meet. Here's how X-Team combats loneliness. What Music Do Developers Listen To? There's nothing like a touch of background music to get you to focus. If you're a remote developer, here are a few suggestions of good music to listen to.